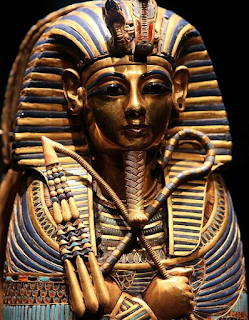 A Grave Interest: Did Opening King Tut’s Tomb Dig Up a Curse? Did Opening King Tut’s Tomb Dig Up a Curse? It was February 16, 1923, in the Valley of the Kings when the tomb of King Tutankhamen was officially opened. 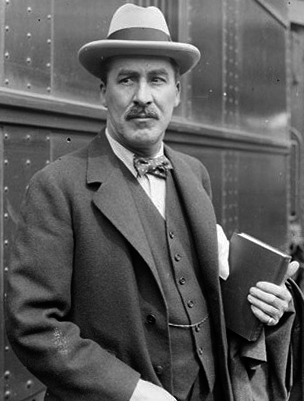 English Egyptologist Howard Carter had searched for five years before discovering the tomb on November 26, 1922. Fortunately, it was one of the few tombs that had not yet been found, which meant that the treasure trove it contained was still intact. The sarcophagus contained three coffins encased inside one another. 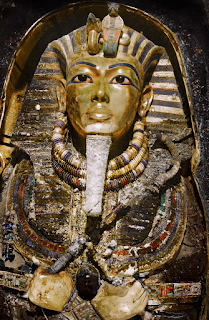 In the last coffin, made of solid gold, explorers discovered the mummified body of King Tutankhamen. King Tut’s tomb contained close to 5,300 items his followers had sealed away for his use in the afterlife. Things like chariots, weapons, furniture, jewelry, statues, clothing, funeral items, and works of ancient art. But the most valuable artifact in the tomb was the mummy of the boy-king. The relics were removed from the tomb for sketching, photographing, recording, and cataloging. Due to the interest in preserving the artifacts, it took more than 10 years to remove all of the treasures... and some "disappeared." Once the items were preserved, a traveling exhibition known as the “Treasures of Tutankhamen” made its way around the world. The collection now resides in a permanent home at the Egyptian Museum in Cairo, Egypt. Of course, there were rumors of a curse that would descend upon all who disrupted the ruler’s eternal rest. Supposedly engraved in hieroglyphics on the exterior of the tomb were the words, “Death Shall Come on Swift Wings To Him Who Disturbs the Peace of the King.” The “Mummy’s Curse” is claimed to have taken numerous lives. 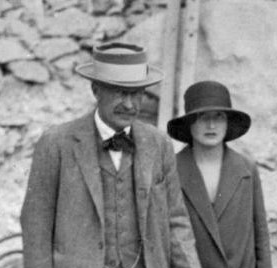 American financier and railroad executive, George Jay Gould, visited the tomb in the spring of 1923. Rumor spread that he became ill with a fever immediately afterwards and died of pneumonia on May 16, 1923. Sir Archibald Douglas Reid was the radiologist who x-rayed the mummy before it was presented to museum officials. Reid became sick the following day and died of a mysterious illness three days later, on January 15, 1924. 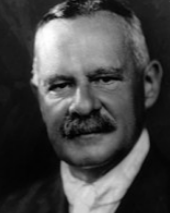 Arthur Cruttenden Mace was a British Egyptologist, and member of Carter’s excavation team in 1923. Mace assisted Carter in writing the draft for the first volume of The Tomb of Tutankhmun. Mace died of arsenic poisoning on April 6, 1928; another death supposedly related to the curse. 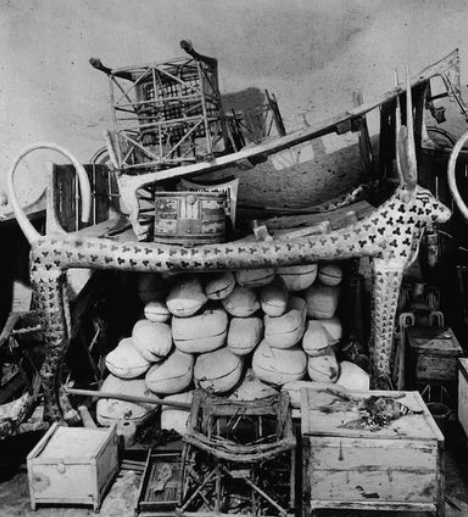 Richard Bethell, Howard Carter’s personal secretary died on November 15, 1929 at the London Mayfair Gentleman's Club. He was discovered smothered in his room. 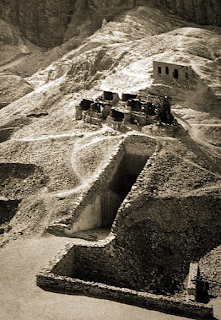 Some suggested that it was the curse at work since Bethell’s home had experience a series of small fires after some of the treasures from the tomb were "stored" there. Bethell’s father, Richard Bethell, 3rd Barron Westbury was also thought to be a victim of the curse. The Baron killed himself by jumping off the 7th floor of his apartment building on February 20, 1930. It was reported that several of the tomb’s treasures had also been stored there. Bethell's suicide note read, in part, "I really cannot stand any more horrors and hardly see what good I am going to do here, so I am making my exit." Were the horrors related to the tomb? No one could say for sure. 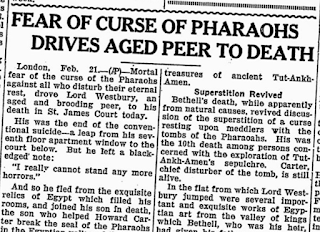 By 1929, eleven people were said to have died from the curse. 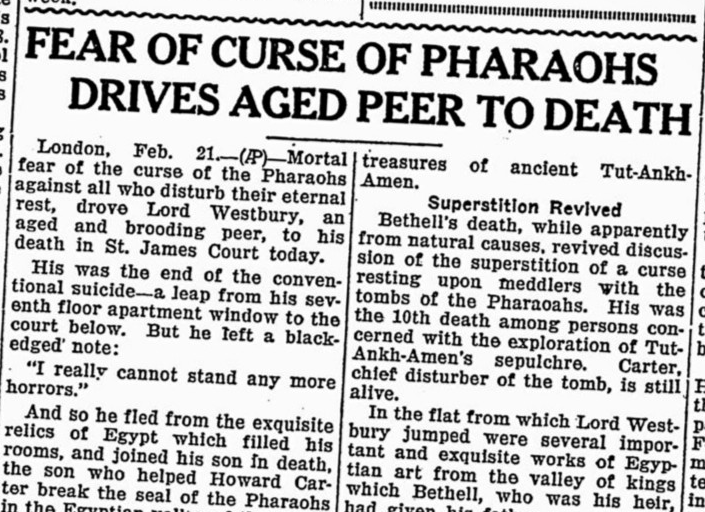 Interestingly, Howard Carter, the first person to enter the tomb never suffered any ill effects. Carter lived to the age of 64, dying of natural causes. He did, however, record in his diary during the excavation that he had seen jackals, known as the guardians to the dead, roaming in the area. It was the first time he had seen them in that region after 35 years of working there. So was the curse real? Conan Doyle, author of Sherlock Holmes, said he was sure the curse existed and began promoting wild accusations after Lord Carnarvon died. 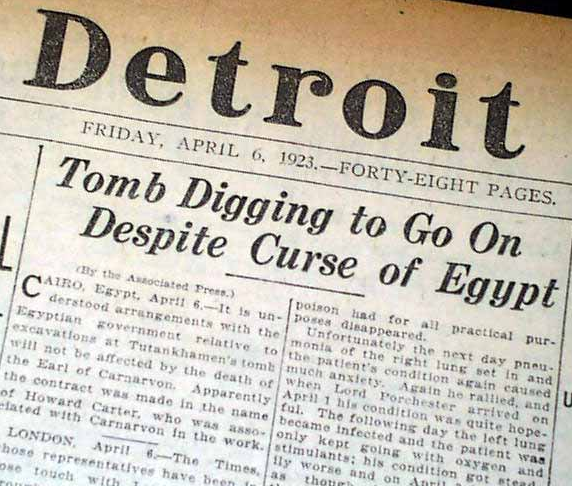 Others say that Carnarvon himself created the curse as a way to keep reporters and sightseers away from the excavation. (Unfortunately for him, he added to the legend by conveniently dying soon after.) Although the tomb was opened 95 years ago, many think the curse is still to be believed.